Where is my church when I need it? 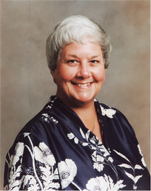 Nancy claimed that she was a life-long Catholic and an active member of her current parish for over thirty years. She complained that since her divorce five years earlier she had not received any expression of support from a single fel’ow member of her parish faith community. Not from her pastor, not from parishioners she had collaborated with on several parish projects over the years, not from anyone in the whole large parish! She said she felt like suddenly she had become invisible at parish gatherings, or as if suddenly no one wanted to get close to her like she had some kind of contagious disease. This unexpected turn of events in her time of great grieving over her painful divorce had hurt her deeply because prior to her divorce she had been so active in the parish. More people than you might think, in the devastating aftermath of their marriage ending in a painful divorce, discover that the church faith community, of which they may have been long-time members, seems to be unable to positively respond to them in their time of grieving their terrible loss. Why might this be? First of all, individual lay church members may be just like one’s own family members, friends, neighbors, and coworkers. They may not know just what to do in the face of such a painful personal life-crisis. So, unfortunately, rather than saying or doing the wrong thing, they end up doing nothing, waiting instead for the one in the midst of grieving to somehow articulate her or his own need for specific help or support. It’s not that they don’t want to do something to help or be supportive. Unfortunately, the grief of the one suffering may prevent her or him from being able to articulate a specific need to anyone. As for the pastor or minister of one’s church, they may have been trained to respond in a positive way to persons in a time of personal crisis. but being trained to respond, and actually having the skill to respond appropriately and effectively are quite different things. Some pastors and ministers, due to no fault of their own, and while meaning well, may be of little or no real help to someone in the midst of profound grief. Of course, in the case of divorce, some pastors or ministers may be hindered in seeming to offer “too much” personal support because of their church’s core belief in the sanctity of the marriage bond, and the ideal of a marriage being for life. This is tragic because the death of a marriage is usually a fact to be dealt with after all previous good-faith efforts of Usaven it have failed. The last thing most people want is for their marriage to fail. Anyone, in or out of a church faith community, may wish or hope that all marriages were life-long, but, sadly, some marriages for a great variety of serious reasons come apart irretrievably. Anyone outside the actual marriage relationship should be extremely cautious in trying to assess (let alone cast) blame for the breakup of a marriage. There is often more than enough blame to go around, not only just for the marriage partners but also for those other persons who may have had a seriously negative influence on the couple’s marital relationship. The single painful decision of one or both partners to divorce may actually be only the “final straW’ that breaks the back of a particular marriage. In any case, people who are trying to deal with the painful grieving at the end of their marriage, however it came about, can use compassionate support from fellow members of their church faith community. If divorced persons cannot find such support in their own parish or congregation, they should feel free to go to a parish or congregation where they can find such support offered. Nancy admitted that she had never considered investigating a Catholic divorce support ministry in the metro area or any support program offered by any parish or congregation other than her own. She said that she had been so deeply involved in her parish for so many years, that when she received no support there, she had sort of closed down on looking for it elsewhere in the Church. At the end of our conversation, she said she would try to follow up on some possible divorce ministry contacts (including some on-line) I suggested to her.